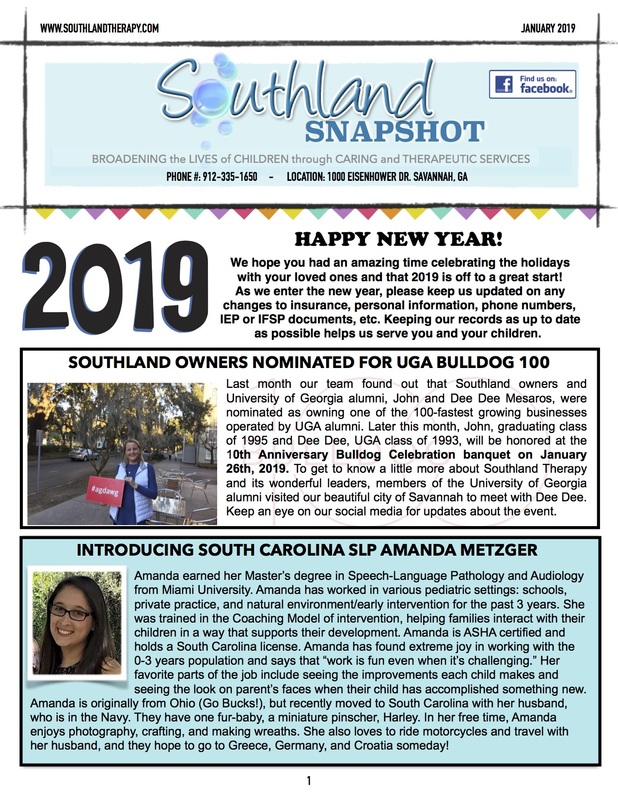 Southland Snapshot: Bulldog 100, Dining in the Dark and New SLP - Southland Therapy Services, Inc.
We hope you had an amazing time celebrating the holidays with your loved ones and that 2019 is off to a great start! As we enter the new year, please keep us updated on any changes to insurance, personal information, phone numbers, IEP or IFSP documents, etc. Keeping our records as up to dateas possible helps us serve you and your children. Last month our team found out that Southland owners and University of Georgia alumni, John and Dee Dee Mesaros, were nominated for the Bulldog 100. This means that they own one of the 100-fastest growing businesses operated by UGA alumni. 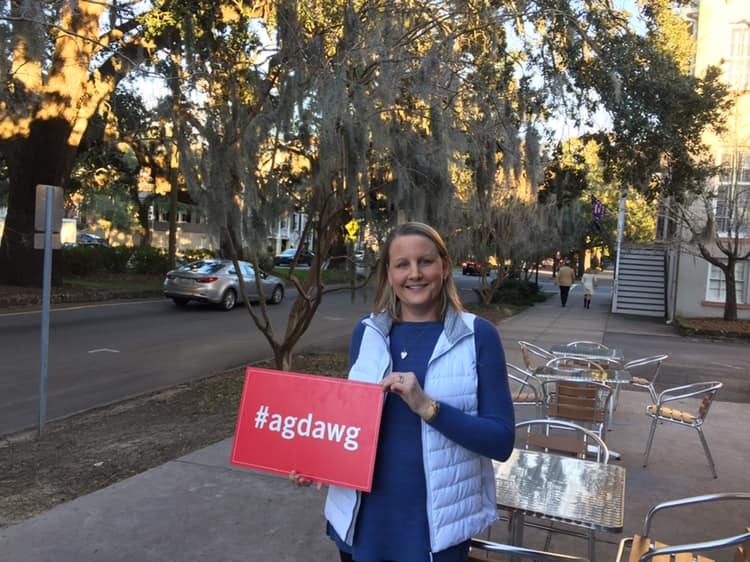 Later this month, John, graduating class of 1995 and Dee Dee, UGA class of 1993, will be honored at the 10th Anniversary Bulldog Celebration banquet on January 26th, 2019. To get to know a little more about Southland Therapy and its wonderful leaders, members of the University of Georgia alumni visited our beautiful city of Savannah to meet with Dee Dee. Keep an eye on our social media for updates about the event. Amanda earned her Master’s degree in Speech-Language Pathology and Audiology from Miami University. Amanda has worked in various pediatric settings: schools, private practice, and natural environment/early intervention for the past 3 years. She was trained in the Coaching Model of intervention, helping families interact with their children in a way that supports their development. She is ASHA certified and holds a South Carolina license. 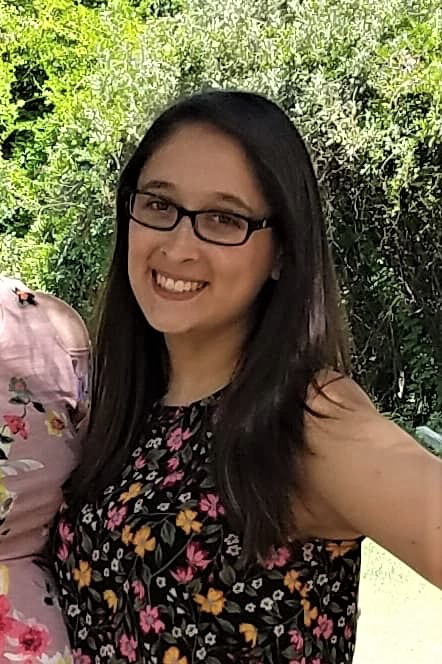 Amanda has found extreme joy in working with the 0-3 years population and says that “work is fun even when it’s challenging.” Her favorite parts of the job include seeing the improvements each child makes and seeing the look on parent’s faces when their child has accomplished something new. Originally from Ohio (Go Bucks! ), she recently moved to South Carolina with her husband, who is in the Navy. They have one fur-baby, a miniature pinscher, Harley. In her free time, Amanda enjoys photography, crafting, and making wreaths. She also loves to ride motorcycles and travel with her husband. They hope to go to Greece, Germany, and Croatia someday! 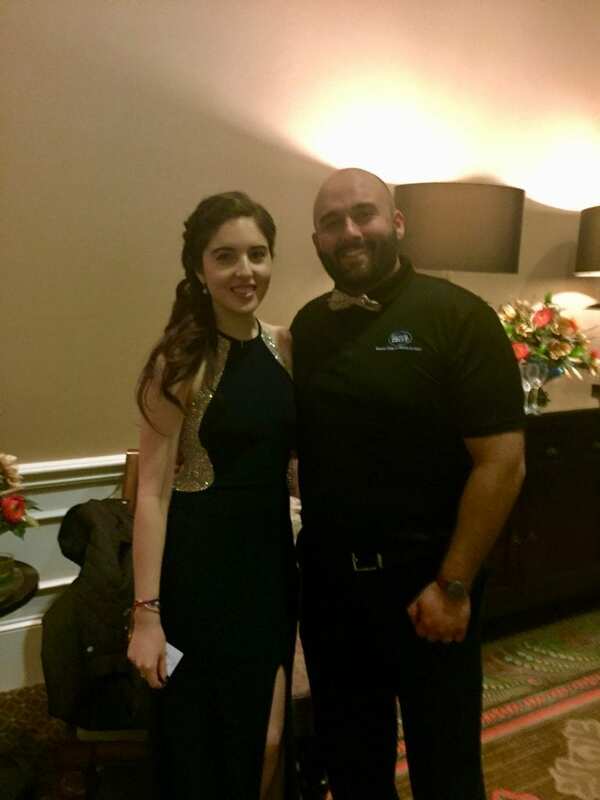 On January 12, 2019, Southland Therapy SLP Andrea attended the 3rd annual Dining in the Dark event held at the Embassy Suites in Savannah. The event gives guests a chance to eat a meal entirely in the dark to simulate what it’s like to navigate through life while blind. Andrea’s husband, Fabian Hinostroza, is a Vision Rehabilitation Therapist at the Savannah Center for Blind and Low Vision. The center provides “programs that assist children and adults living with blindness or vision impairment the opportunity to achieve their highest level of independence.” (from Facebook event details) Andrea stated that this event is “a chance to bring awareness and knowledge to understand what it is like to live with no sight and to realize that, for a lot of people, the lights don’t turn back on.” She was honored to volunteer and hopes to help spread awareness. If you or a loved one could benefit from their services, contact the Savannah Center for Blind & Low Vision. Keeping our kids healthy and safe are top priorities for all parents and caregivers. When it comes to cold and flu season, nothing can strike fear into the heart of a parent more than when your child comes home with that trademark runny nose and glazed-over look. There’s no denying it – they are sick! Teaching kids the importance of keeping germs to themselves can be tricky, especially with really young children. We gathered a few helpful tips to help keep your household germ-free this winter! 1. WASH YOUR HANDS: Teach your child the proper way to wash to get all those pesky germs. Use warm water and soap then rub the front and back of the hands for at least 15 seconds. Have them sing “Happy Birthday” to be sure they wash long enough. Don’t forget between the fingers too! 2. SNEEZE INTO YOUR ELBOW: Try to have them aim for their arm instead of their hands. When coughing or sneezing, aim for the elbow in order to keep the hands germ free. 3. STAY HYDRATED & EAT WELL: Because it’s important during any season, especially winter! Eating right and drinking plenty of water can help keep our bodies strong. We need strong bodies to fight off any stinky germs that try to make us sick! Getting a cool new water bottle can help get the child excited about drinking more fluids. Making homemade popsicles with diluted fruit juice is also a great way to be sure they are getting enough fluid each and every day. 4. WHEN IN DOUBT, STAY HOME: Contain the germs by keeping them home in bed. If your little one isn’t feeling well, keep them home. Your child’s teacher and therapist will appreciate you looking out for the wellbeing of everyone else in the classroom and office.